Srinagar: Following the latest escalation of tensions between Pakistan and India, China on Wednesday called for restraint and said it would engage with India on the issue of listing of Jaish-e-Mohammad leader Maulana Masood Azhar as a global terrorist by the United Nations. 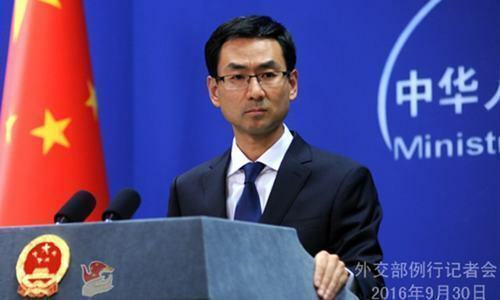 “China hopes that Pakistan and India can exercise restraint, engage in dialogues and realise an early ‘soft landing’ of this issue,” Chinese Foreign Ministry spokesman Geng Shuang said ahead of the next week’s trilateral foreign ministers’ meeting between China, India and Russia. Since last week’s Pulwama attack, India has stepped up efforts for listing of JeM chief Masood Azhar by the UN. The JeM claimed the Pulwama attack on Central Police Reserve Force bus in which 44 security personnel were killed. China, it should be recalled, has been maintaining a technical hold on Azhar’s listing. France has said that it will make a fresh bid at the UN for Azhar’s listing in a couple of days. France had in 2017 moved a proposal with the US and UK backing to get Azhar declared a global terrorist, but the move was blocked by China. The issue would be a major agenda point during a meeting between Chinese Foreign Minister Wang Yi and Indian Foreign Minister Sushma Swaraj on the sidelines of the trilateral meeting. However, his emphasis on “the relevant resolutions and the procedures of the 1267 Committee” showed that notwithstanding Beijing’s openness to discuss the matter with Delhi, it was still not in a mood to review its position.